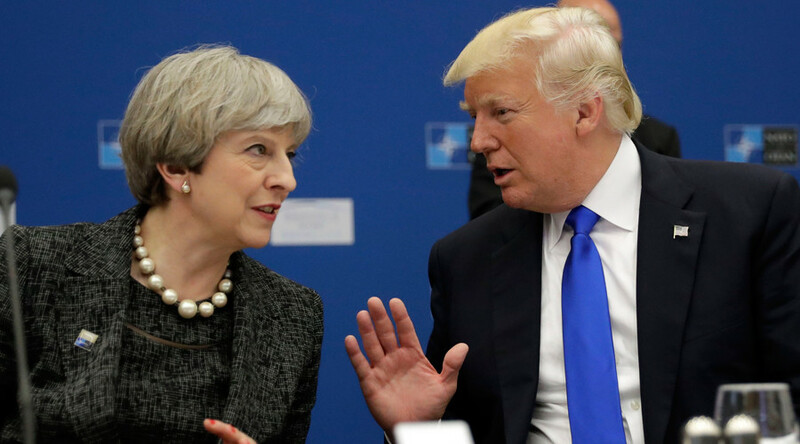 British Prime Minister Theresa May abstained from joining widespread criticism of US President Donald Trump’s insufficiently robust response to the deadly far-right demonstration in Charlottesville. The Prime Minister herself is on a month-long holiday in Italy. The spokesperson reaffirmed the British government is staunchly opposed to any manifestation of racism and bigotry. “We are very clear… we condemn racism, hatred and violence. “We condemn the far right,” the spokesman said. It is highly likely that the incident will intensify pressure on the prime minister to postpone or even cancel Donald Trump’s official state visit to the UK. On Saturday, a number of far-right groups staged a massive ‘Unite the Right’ protest in Charlottesville, Virginia over the local government’s decision to remove the statue of Confederate icon General Robert E. Lee from Emancipation Park. 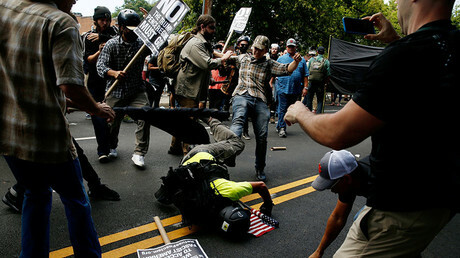 The demonstration turned deadly when a car plowed into a group of counter-protesters, killing 32-year-old Heather Heyer and injuring 19 more. In response to the incident, Virginia Governor Terry McAuliffe invoked a state of emergency. Trump came under fire for what was widely regarded as a weak response to the violence, as he failed to explicitly condemn the far-right. “We condemn in the strongest possible terms this egregious display of hatred, bigotry, and violence on many sides, on many sides,” Trump said at a press conference in the aftermath. When reporters asked whether Trump wanted “the support of these white nationalists?” the president just walked away. Following the botched press conference, Trump faced a wave of criticism, including from members of his own Republican Party, for his failure to denounce the far-right. During a second press conference on Monday, Trump finally caved to public pressure and condemned neo-Nazi and far-right groups. “Racism is evil,” Trump said.